The popular Louisiana expression laissez les bons temps rouler means let the good times roll. And that’s exactly the spirit you’ll find at Rock ’n’ Bowl in downtown Lafayette, a city known for its great food and music. Rock ’n’ Bowl got its start in New Orleans 30 years ago, and its fun and quirky combination of authentic Louisiana music inside a bowling alley has garnered national attention from CNN, USA Today, National Geographic and The Today Show—just to name a few. The legendary landmark opened its second location in Lafayette last year, and it’s already the hottest entertainment venue in Acadiana. When Hurricane Katrina devastated New Orleans in 2005, Rock ’n’ Bowl founder, John Blancher, and his family took shelter in Lafayette, 130 miles west of their home. “We fell in love with the place and people that welcomed us when we were most vulnerable after Katrina,” says John. The Blanchers vowed then to open a Lafayette franchise of Rock ’n’ Bowl and have been waiting for the perfect opportunity ever since. In 2016, the ideal location came available on downtown’s historic Jefferson Street, that’s home to a variety of bars, restaurants, shops and museums all within walking distance. John’s son, Johnny, moved his family of five to Lafayette to run the business and begin renovating two floors of an old bank building. 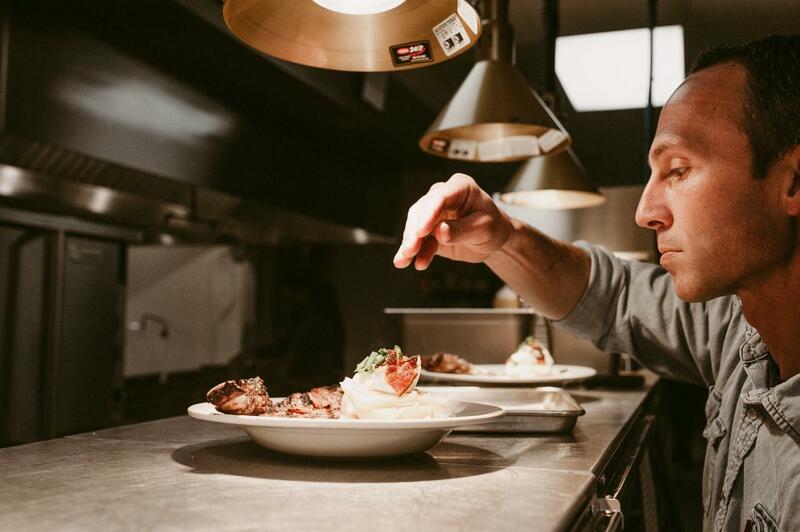 Johnny opened the impressive 38,000 square-foot venue in 2018 with a bowling alley, full-service bar, stage with dance floor, fine dining restaurant and event space all under one roof. In keeping with Acadiana’s strong Catholic faith, the Blanchers even made room for a small chapel when you walk in the main door, so you can pray before you play. The venue’s 16 lanes of bowling—complete with big screens and special effects—play second fiddle to the entertainment that’s brought in three to four nights a week to the main stage. 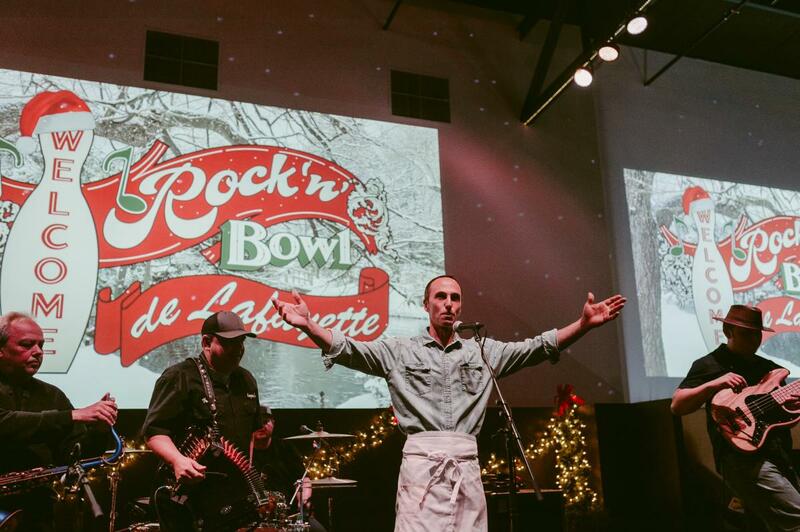 Rock ’n’ Bowl de Lafayette has brought in big names like Cowboy Mouth, award-winning artists like Samantha Fish and Marc Broussard, as well as favorite local regulars like Geno Delafose & French Rockin&apos; Boogie. Since the early ‘90s in New Orleans, Rock ’n’ Bowl has given the spotlight to zydeco music, a trademark of South Louisiana featuring an accordion and a washboard with an upbeat tempo perfect for dancing. And all over Acadiana, there’s a huge following of couples young and old ready to hit the dance floor. Visitors and locals alike can take zydeco dance lessons at Rock ’n’ Bowl de Lafayette every Wednesday at 6 p.m., then show off their Cajun two-step in time with the zydeco band at 7 p.m.
After bowling and dancing, patrons can enjoy a sit-down meal at The Sainte Marie, the Rock ’n’ Bowl’s upscale, onsite restaurant serving Creole and Cajun dishes with the venue’s own special twist. 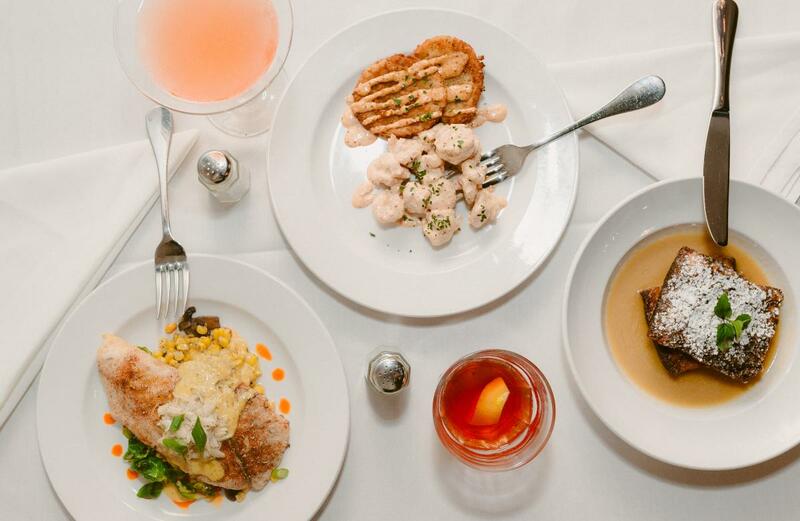 Favorite renditions of traditional favorites include the Fried Green Tomato Shrimp Remoulade, Beaux Thai Duck with vermicelli noodles and the Shrimp and Grits with local Gulf shrimp and French bread. Wash it all down with a Louisiana craft beer or a hand-crafted cocktail but be sure to save room for dessert. 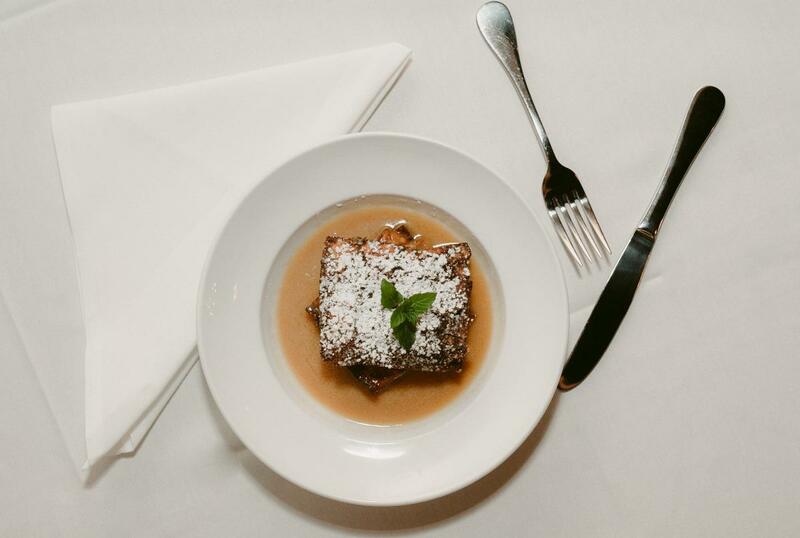 The Blanchers’ Fried Bread Pudding PoBoy was named the king of all po’boys at the Oak Street Po’Boy Festival in New Orleans—the ultimate authority in naming Louisiana’s best signature sandwich. 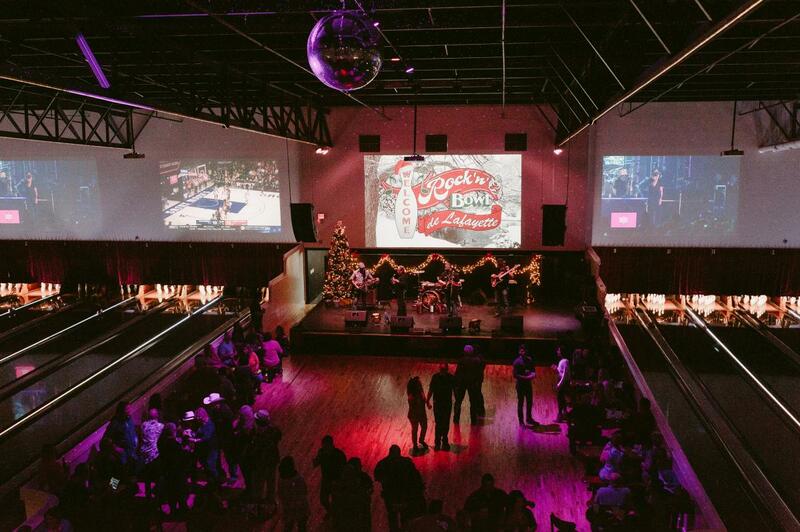 Rock ’n’ Bowl de Lafayette is a lively location for a special event or a tour group, with private suites overlooking the stage to luxurious receptions for 300 in the Grand Ballroom. Private dance lessons can also be arranged, and a variety of bar games are offered in the upstairs loft to keep the party going. Rock ’n’ Bowl de Lafayette is open Wednesday to Sunday from 11 a.m. until late at 905 Jefferson St. For more information and to view the live music schedule and menu, visit RocknBowl.com.